Lately I’ve been writing some analysis papers for my Art Humanities class. So far, it has been an exercise in slow. Based on my very limited experience, analyzing art involves a whole lot of time looking. Not necessarily a lot of time making brilliant observations. Not necessarily a lot of time writing things down. Mostly a whole lot of time looking at lines and shapes and colors until you (hopefully) notice something new (like OMG why did it take me an hour to notice that the girl’s eyes are totally directed at the light source?). My professor’s advice for when you’re stuck is to look longer. It usually seems to work, but it’s also difficult and infuriating. I’m seriously supposed to just sit there and stare? And do nothing else? When I have 3 papers to write? Even if I literally have the time, it’s frustrating that I can’t make it happen faster by working harder or “smarter,” the way we’re supposed to want to do with everything. Some people probably see this as an example of how technology has made #millennials dependent on constant stimulation and unable to take the time to fully appreciate art. But at least for me, I don’t think that’s the main problem: it’s not exactly that I feel bored staring at art, but that I feel lazy. The issue isn’t a lack of stimulation, but a lack of productivity. The whole “time is money” thing that we subscribe to not only implies that our time is valuable, but also that every moment of our lives is an investment. Which means we evaluate it based on measurable returns, and the more we can get out of less time, the better. Fast is efficient, and efficient is good. And if a moment isn’t a good investment, it’s a waste. Looking at art is slow. And not even the slow-and-steady kind of slow where you can comfort yourself with constant, if minimal, evidence of progress along the way. It’s the slow-and-empty kind of slow, loaded with indefinite stillnesses which give no guarantees of progress in exchange for your time. As an investment, slow inefficiency is a risky gamble. Instead of settling for a probably-almost-as-good quick version, you put in moment after moment for the uncertain possibility of finding something of greater value. This can mean staring at art. Or meditating. Or watching live performances instead of YouTube clips. Or making cookies from scratch instead of using pre-made dough. Or reading the whole book instead of just the SparkNotes. Or actually watching TV shows instead of just reading the recaps (side note: I find it funny that there’s a whole online genre dedicated to making a even the most mindless pastimes faster and more efficient—and I read it). You can’t always fit it in. And it’s not always worth it. But sometimes it totally is. I recently found (i.e. my dad sent me) this quote from an article about early tech-panic surrounding the telegraph: “too fast for the truth.” Beyond the original context, I find it kind of interesting to think about the speed of truth. Sometimes it’s fast-moving target that you’ll miss if you slow down (Wait, how many people are running for president now?). But sometimes it’s something slow and quiet that you’ll pass right by if you don’t take the time to stop and stare between the lines. It is true that sports can be performed purely for competition, but at least in the professional world, athletic teams rely on the support of audience members (either live or though the use of film). Therefore, it is fair to assume that sports are primarily a form of theatrical entertainment which attracts audiences through both the virtuosity and dynamism of the movement itself and ongoing narrative arcs (which typically have predictable outcomes, but the exceptions can move entire cities to the streets). Some people have been inclined to exclude sports from the category of artistic performance because of their largely un-choreographed nature. However, this ignores the importance of improvisation in today’s concert dance world. Furthermore, it is a mistake to assume that improvised movement lacks structure or intention. Football players, for instance, engage in a rule-based structured form of contact improvisation centered around a creatively-shaped ball prop. Then there are the performers themselves: while it is difficult to generalize about their training, it is fair to say that many of them work hard at shaping their technique and consistency of movement, while also developing serious expressive abilities (tennis players, for example, even expand their expressions of anger and frustration to the realm of dance theater with vocal embellishments). Of course, if we are to consider athletes as dancers, it is completely reasonable to judge them by standards of aesthetics, movement quality, musicality, and emotional appeal. Basketball players do quite well, impressing with their complex footwork, suspended jumps, and lively sense of rhythm, along with tense and quickly shifting partnerships. Baseball players are not as engaging on their feet, but their occasional floor work sections are delightfully fearless. I find golf players lacking in this department, but to be fair, I’ve never been much of a minimalist. One might even argue that athletes deserve the same respect, pay, and access to medical treatment that dancers do. So yes, I’m kidding, but I’m also a little serious. While I’m sick of dance getting the short end of the stick, I’m really not interested in claiming superiority over athletes. In fact, on some level I honestly think that there is something radically beautiful in seeing sports, and any other movement in the world as dance. 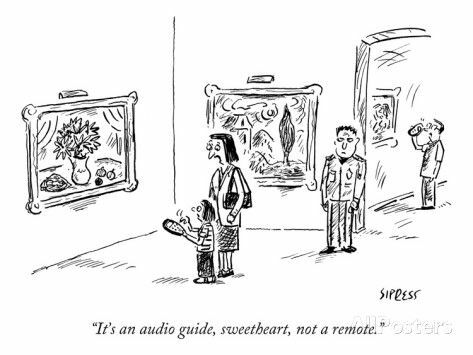 It means the viewer is the one deciding what is art (even if the creator thought they were just chasing a ball). It means the viewer has the authority to give art meaning. It means anyone can watch dance whenever they want. It means that we don’t have to teach people how to watch dance because they already do it all the time. And then there’s the idea that dance is enough* in itself. The idea of “dance” is a perfectly legitimate and valuable framework for looking at what dancers do, and even for looking at the rest of the world. We don’t have to associate it with sports or other art forms or other academic fields for it to become legitimate. Now get that football costume on and dance.